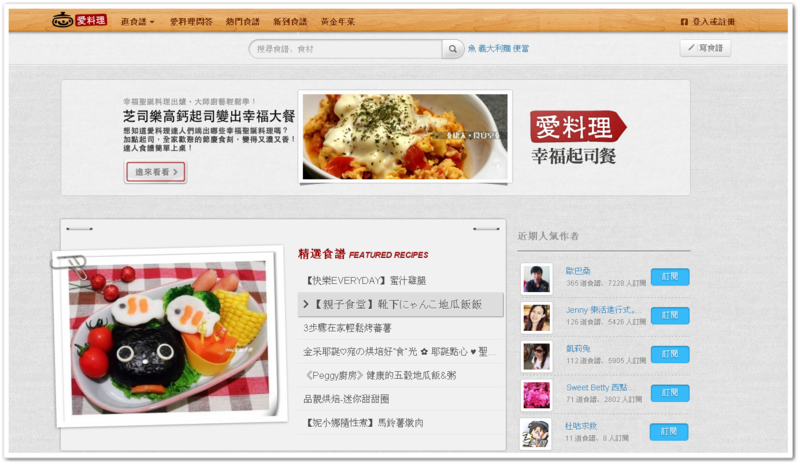 Three months after iCook.tw, a social network for sharing recipes, landed funding from Japanese VC CyberAgent Ventures, the Taiwanese startup has agreed to a partnership with another giant from Japan, e-commerce player Rakuten. The deal — reported by E27 — will see iCook introduce a dedicated Rakuten Taiwan channel to its mobile app through which users will be able to buy utensils, ingredients and other food items through promotional deals from the Japanese firm. Revenue will be shared by both companies, although it is not clear what percentage each will take. Rakuten Taiwan is trying to expand their presence on mobile commerce because they see huge potentials and great opportunities in this space in the near future. They have also worked with mobile IM app Line last year and it worked really well for them. Because of that, they decided to have similar partnerships here in Taiwan. iCook.tw already runs sales and promotion related tie-ins with other retailers and brands and, like the Rakuten deal, profits are shared between the startup and its partners. The company also makes money through banner ads on its main website, which was launched in early 2012. The startup is closely modeling its business and monetization strategy around success stories like Japan-based Cookpad, which made an estimated $41 million in sales in 2011. Speaking last year, CyberAgent Venture’s Catherine Chang told TNW that Cookpad’s ‘premium services’ account for around 60 percent of its revenues, so we can likely expect more big name partnerships for iCook.tw in the near future. More immediately, an Android app is in the works and Hsiao says it will be released after Chinese New Year next month. That’s sure to give it a spike in downloads and users, which will help lure new partners and advertisers.